The need for a better traveling surface in Texas, prompted the construction of the Central National Road in 1844. The route provided for traffic from the Red River to the Trinity River, and brought settlers to the Hunt County area and to Greenville. 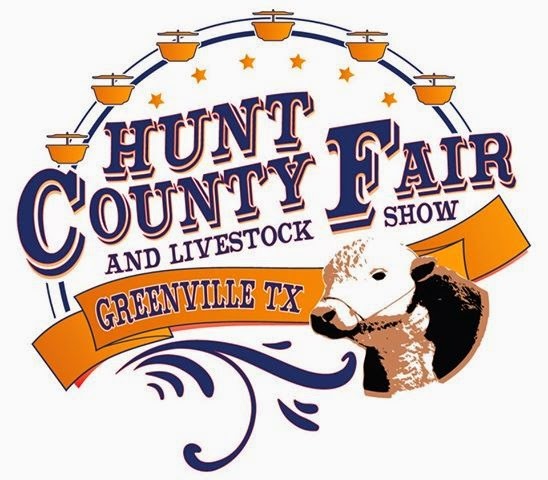 By 1898, the first Hunt County Fair had been organized and in 1967 relocated to its current home near the site of the historic Majors Army Airfield. 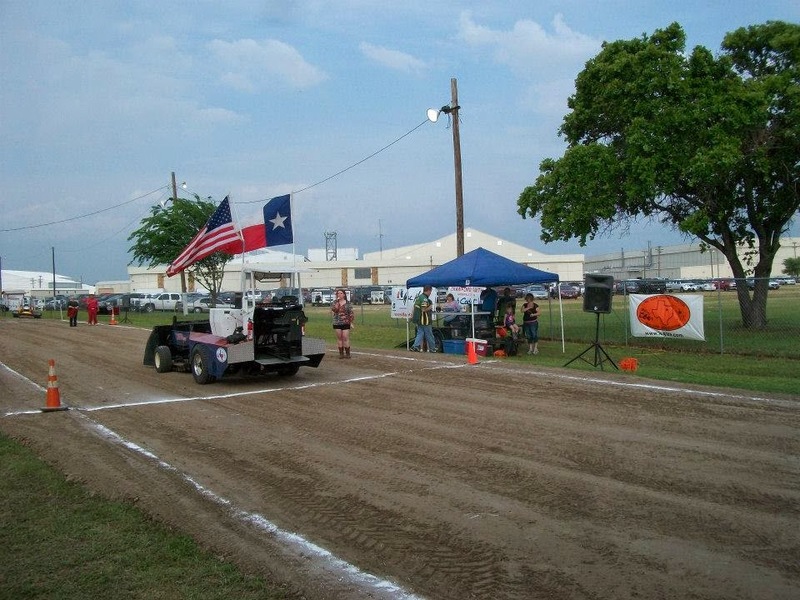 The need for a good tractor pulling surface in Texas, prompted the partnership of the Lone Star Garden Tractor Pullers Association with the Hunt County Fair in 2002, and has resulted in a cooperative effort that provides for a great show each year, held in conjunction with the Hunt County Fair. 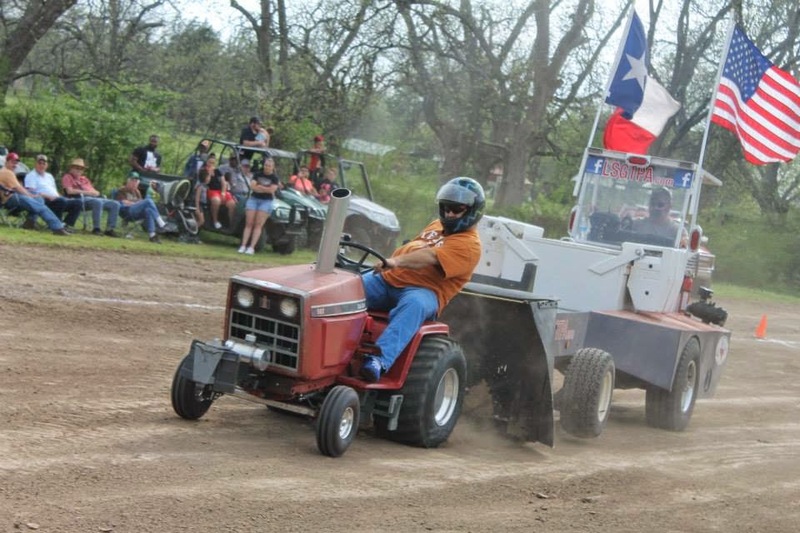 The 2014 Hunt County Fair tractor pull, was certainly one for the books, as the only double header on the LSGTPA schedule was certainly entertaining ! 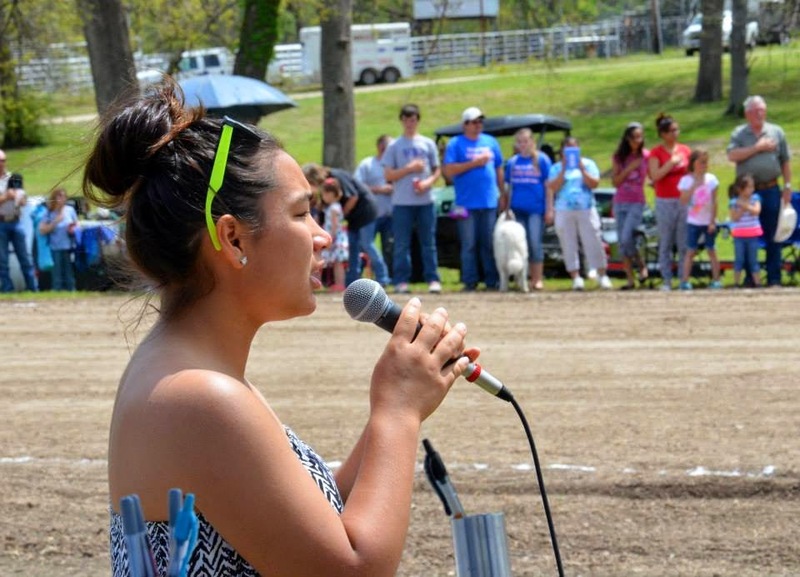 Bailey Melvin performs the National Anthem during the Hunt County Fair Tractor Pull. Great weather rewarded the fairs decision on an earlier start for 2014, and provided for awesome conditions for opening weekend. Bailey Melvin opened the LSGTPA show, with an outstanding performance of our National Anthem. The Youth Class took center stage during the Friday night opener, as the 'Chevy Hometown Kids' television crew were onhand to film and conduct interviews during the competition. The show, starring host Emily Reppert, highlights youth sporting events and airs on Fox Sports Southwest. Reppert and crew, covered the activities of the Youth Class competitors during the evening event. 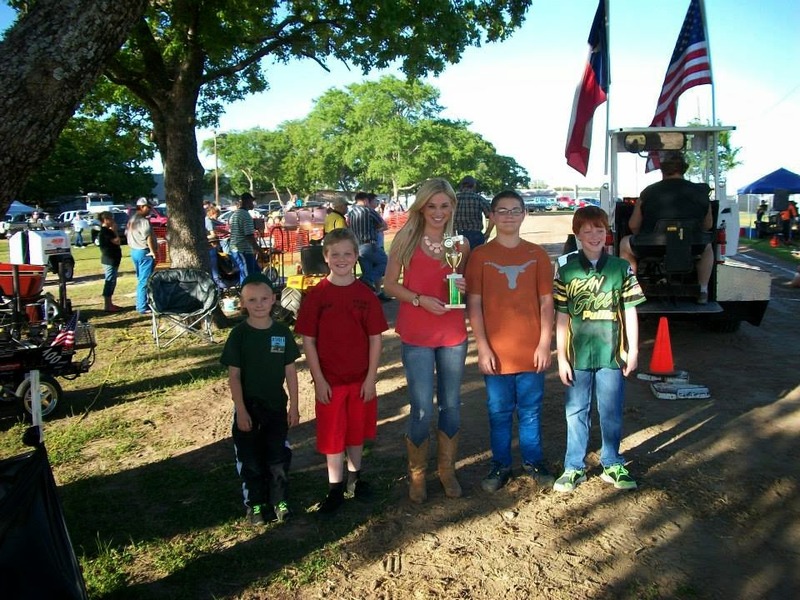 Emily Reppert, host of 'Chevy Hometown Kids', receives an honorary trophy from the Youth Class. Leading the pack, was the 'Rust-eze' entry of Korben Colley-Greer, scoring the win. 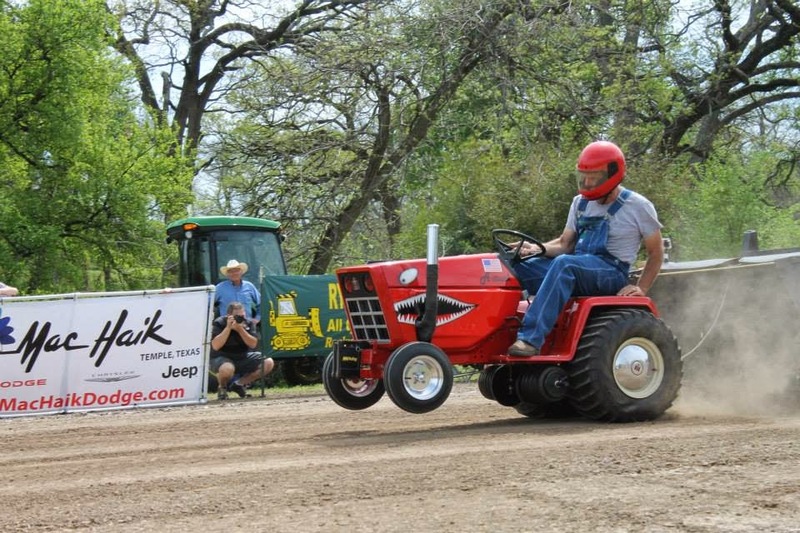 Jared Stephan drove his 'Iron Head' tractor to the runnerup spot, while Lane Duncan piloted the 'Texas T-Rex' to the third place. 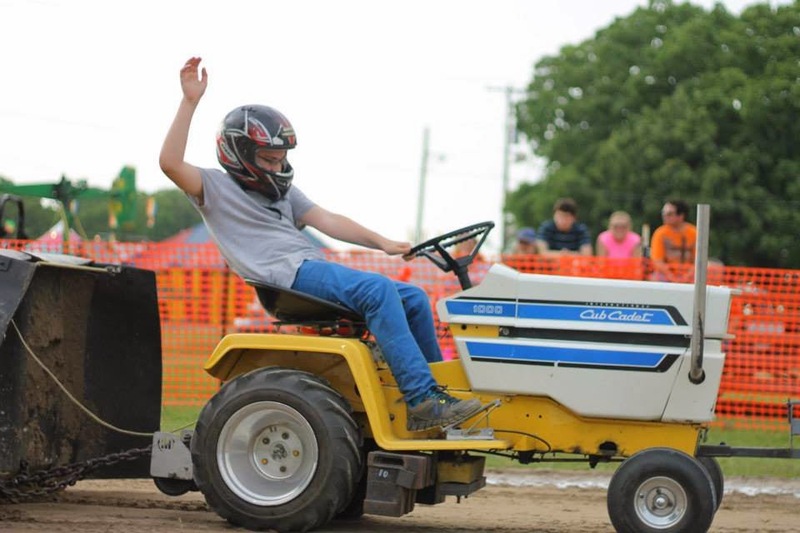 Kody Langham placed his Bonham Service Center tractor in fourth, and Mason Hovind pulled to a top five finish aboard the 'Yes Deere' tractor, during the Youth Class prime time performance. Korben Colley-Greer takes his 'Rust-eze' tractor down the Hunt County Fair pulling track in Greenville. The Stock Class was won by Shawn Aufdenkamp, followed by Kolby Langham in the runnerup position. 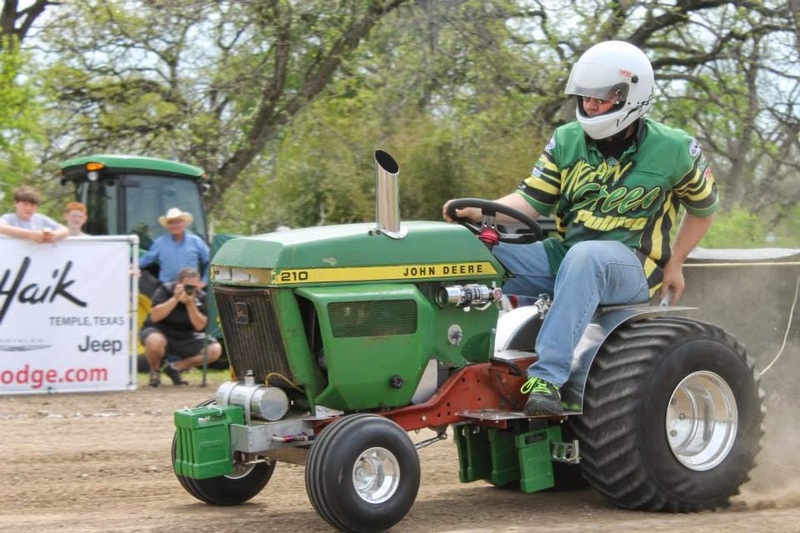 Claude Lewis turned in a top three performance, while Aidan Hovind place the 'Yes Deere' tractor in the fourth position. In Stock Diesel, Steve Hovind used a Full Pull to record the win, over Ken Langham Jr, and Kieth Pope. Big Stock tractors were paced by Shawn Aufdenkamp, in a very close battle. Alex Jesko scored the runnerup aboard his 'Overtime' entry and Jerry Toland placed the 'Triple Deuce' tractor in the top three. Kolby Langham rounded out the field, aboard the 'Texas Thunder' machine. Kody Langham hangs on to his Bonham Service Center tractor at the Hunt County Fair tractor pull. Stock Altered fans witnessed another close battle, as Alex Jesko emerged with the victory aboard 'Outlaw'. John Aufdenkamp placed second and Ken Langham Sr. scored a top three finish. Michael Mayberry placed the 'Pulling for Peanuts' tractor in the fourth spot. In the Motorcycle Class, Paul Smith rode his 'Texan' tractor to the victory. Steve Pierce piloted his 'Buzzards Roost' entry to the second place spot, while Todd Hickerson recorded a top three finish. In the Mini Rod Class, the competitors were holding nothing back, as the class recorded four Full Pulls before David Houchen emerged as the winner aboard 'Back In The Day'. Colby Crowe powered his 'Weekend Warrior' machine to the runnerup, and Jerry Toland placed 'Shinin Time' in the top three. Sara Moody rolled coal to the fourth place spot, aboard her turbocharged diesel entry, and Tommy Kimmons placed his tractor in the top five. Kolby Langham launches 'Texas Thunder' downtrack at the Hunt County Fair pull. 'Ridge Runner' roars downtrack, piloted by Randell Moody, at the Hunt County Fair. During Saturday night action, in the Youth Class, Jared Stephan placed his 'Iron Head' entry in the lead. Mason Hovind pulled to the runnerup aboard 'Yes Deere', and Korben Colley-Greer placed 'Rust-eze' in third. Lane Duncan piloted his 'Texas T-Rex' to the fourth place position, and Kody Langham pulled to a top five finish. In Stock, Aidan Hovind pulled to victory with Claude Lewis scoring second. Kolby Langham rode to a third place finish ahead of Aidan Hovind in fourth. Stock Diesel action, produced a win for Ken Langham, Jr. and a runnerup for Steve Hovind. Local favorite Keith Pope finished in third. In Big Stock, Kolby Langham pulled out the win, just ahead of Alex Jesko and the 'Overtime' tractor. Jerry Toland placed the 'Triple Deuce' in third, just ahead of Shawn Aufdenkamp. Stock Altered pilots witnessed a repeat win by Alex Jesko aboard the 'Outlaw' tractor, with Ken Langham Sr. scoring the runnerup. John Aufdenkamp pulled to the third position, with Michael Mayberry and the 'Pulling for Peanuts' entry placing fourth. The Motorcycle class action, sorted out with Steve Pierce and 'Buzzards Roost' scoring the win. Todd Hickerson pulled to a runnerup, and Paul Smith pulled to third aboard his 'Texan' tractor. Paul Smith would return to pull in the Outlaw Class, and used a Full Pull to score the win aboard the 'Texan'. Todd Hickerson also pulled double duty, scoring the runnerup in the Outlaw Class. John Aufdenkamp placed his 'Three of a Kind' entry in third. Paul Smith pilots his 'Texan' entry downtrack in front of the Hunt County Fair crowd. While the Youth Class stole the show on Friday night, Saturday night may well be designated the Colby Crowe show. Crowe competes in the Mini Rod class with his 'Weekend Warrior' entry. His girlfriend, Sarah Moody, also competes in the class with her turbocharged diesel '99% Moody' machine. On this night, Crowe pulled first, scoring a 179.30 foot pull. Crowe exited the top end of the track and awaited Moody, as is normal for the pair, often assisting each other. This time, however, Crowe had special plans. As Moody began her pull, Crowe produced a small box, took a knee on the finish line, and awaited Moody. Moody scored a 173.43 foot pull, before realizing Crowe and his proposal activities on the track. The packed stands went wild with cheers and even a few tears, as Sarah accepted Colby's ring in front of the crowd. The pair then left together to prepare their tractors for the next round, and prepare their plans for the next chapter of their lives. We certainly wish them well ! She said yes ! Sarah Moody accepts a proposal from Colby Crowe, as the Hunt Count Fair crowd cheers ! Jerry Toland would go on to win the Mini Rod Class, aboard 'Shinin Time', with Tommy Kimmons scoring the runnerup postion. The newly engaged Colby Crowe 'Weekend Warrior' and Sarah Moody '99% Moody' combo would finish third and fourth. David Houchen took the 'Back In The Day' tractor to a top five finish. The Super Rod Class tractors would close the show, with Ken Langham Sr. pulling to a win over John Kiemele and the 'Dodge This' machine. Randell Moody and 'Ridge Runner' placed third, with Donny Mayo and the 'Blackfoot Squaw' tractor pulling to fourth. The teams will ready for the next pull on Saturday May 3rd, at the newly constructed Powder Creek Park Pulling Track in Bonham.. The event will be held in conjunction with the Bonham Heritage Day celebration, and is scheduled for a 3pm start. 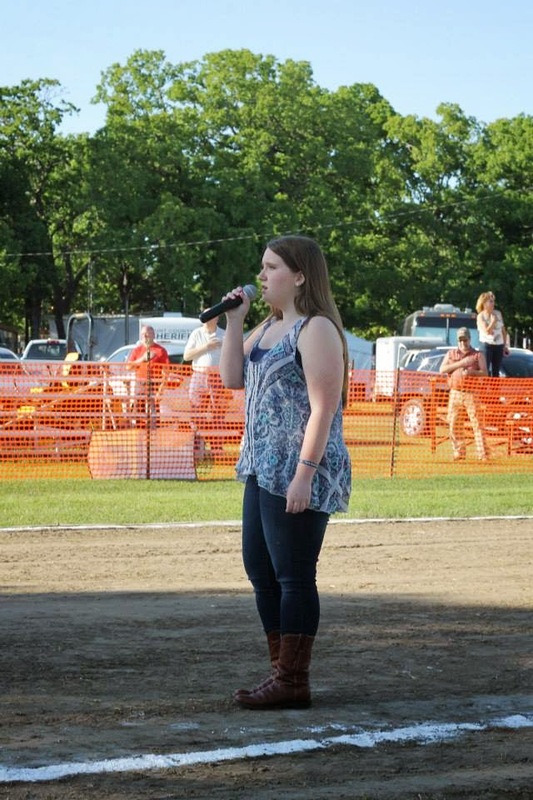 Rising star Bailey Melvin, performs the National Anthem at the Hunt County Fair LSGTPA Tractor Pull. Emily Reppert talks tractors, with the Youth Class drivers for an upcoming episode of Chevy Hometown Kids. Crawford Smith had equipment on display, during the Hunt County Fair tractor pull. 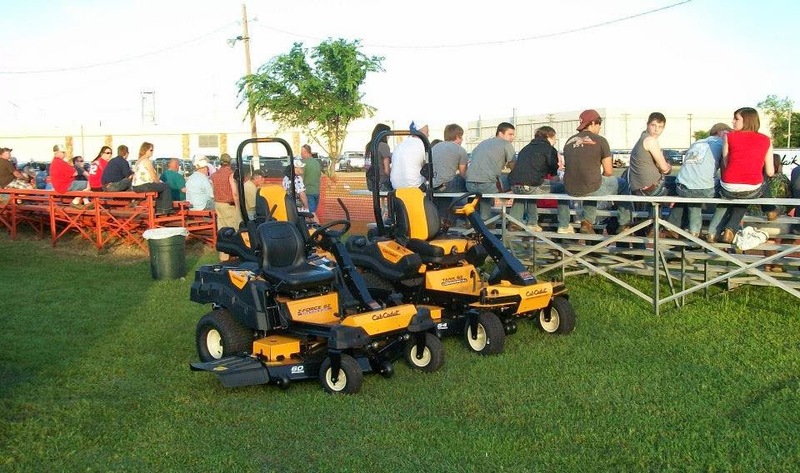 Crawford Smith performed track maintenance during the LSGTPA event at the Hunt County Fair. 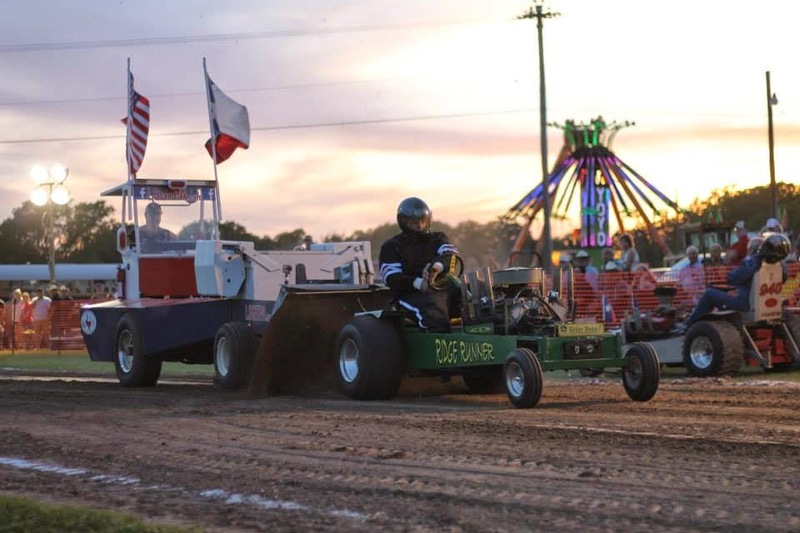 The LSGTPA tractor pulling teams are preparing for the Hunt County Fair Tractor Pull, set to open the fair week on April 25 and 26 in Greenville Texas. 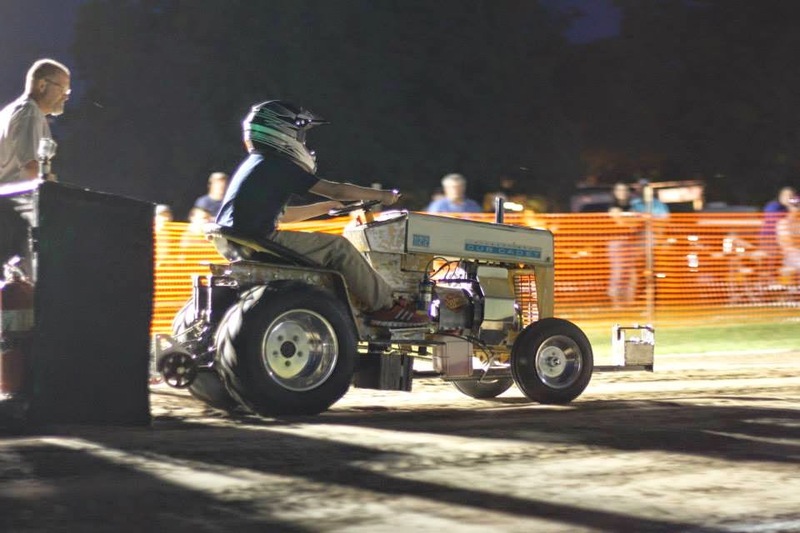 The only LSGTPA double-header event scheduled for 2014, the Friday and Saturday night shows expect to see tractor pulling teams from across the state competing for the titles in each of ten classes. Each nights event will begin at 6pm, with opening ceremonies to include the National Anthem performance by Bailey Melvin. 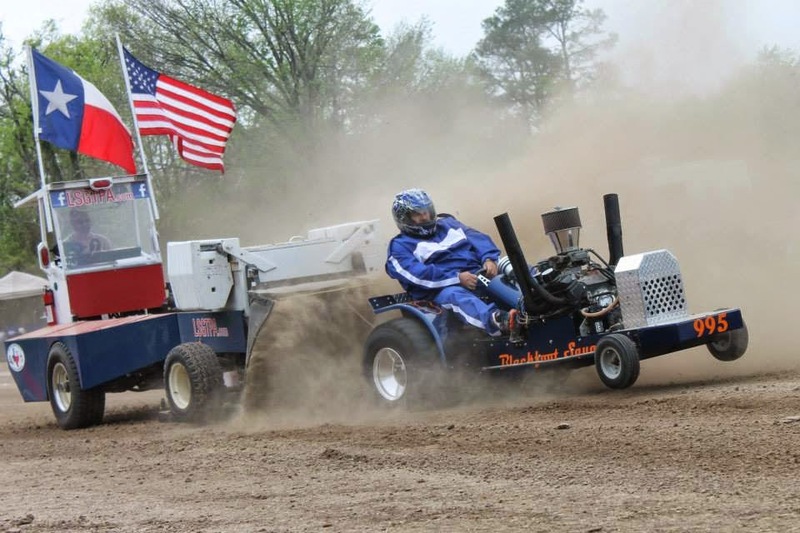 John Aufdenkamp and his triple engine 'Three of a Kind' tractor will be competing at the LSGTPA event during the Hunt County Fair in Greenville. 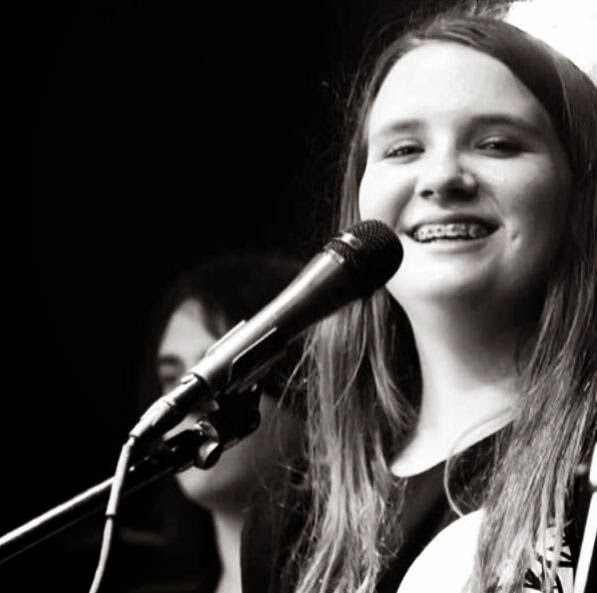 Bailey Melvin will be performing the National Anthem for the Hunt County Fair LSGTPA Tractor Pull. 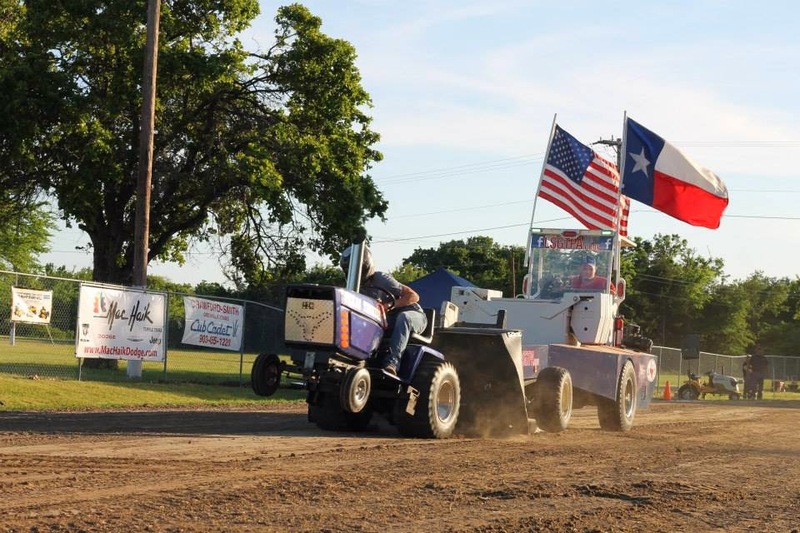 The Delta County Fair and Jr. Livestock Show of 2014, played host to the Lone Star Garden Tractor Pulling Association season opener at the Cooper City Park. The brand new Delta County Fair Pulling Track was prepared and maintained during the event, by Rocky Young Construction. Excellent weather and a great crowd, provided for an awesome inaugural event to start the 2014 LSGTPA pulling season. Cooper High School Band drum major, Micalyn Rowe, presented an outstanding National Anthem performance during opening ceremonies to start the event. The LSGTPA Youth Class tractors were the first to take to the new track, with Jared Stephan scoring the win aboard the 'Outlaw Pulling Team' machine. 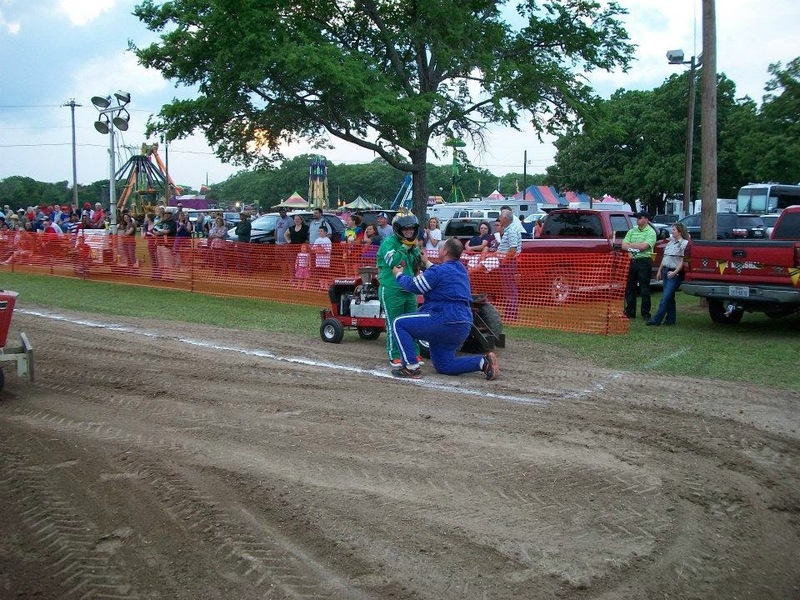 Mason Hovind pulled his 'Yes Deere' tractor to the runnerup position, with Cassidy Bramlett placing third aboard her 'Nacho' tractor. 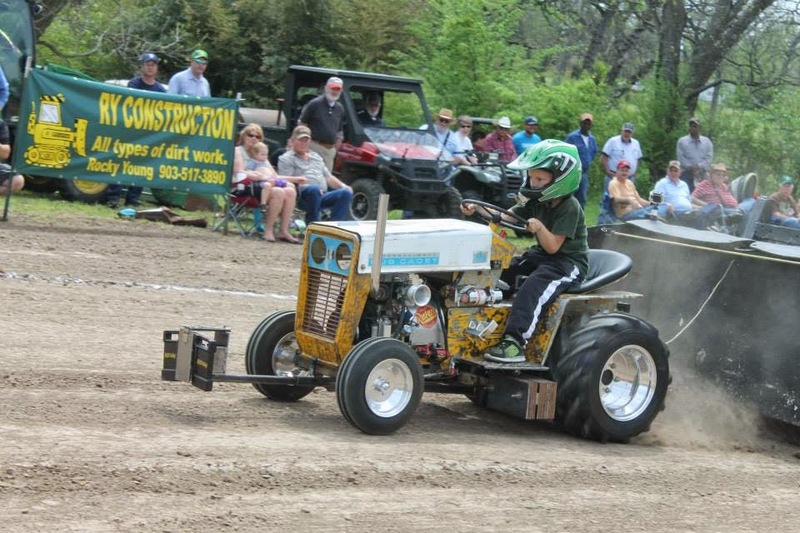 Lane Duncan piloted his 'Texas T-Rex' tractor from Enloe, to a fourth place finish. Kody Langham placed his BSC entry in the top five, followed by Jared Stephan aboard the 'Moody Pulling' , John Deere tractor. Kody Langham returned with his second Bonham Service Center tractor, to round out the tough field of Youth Class tractors. 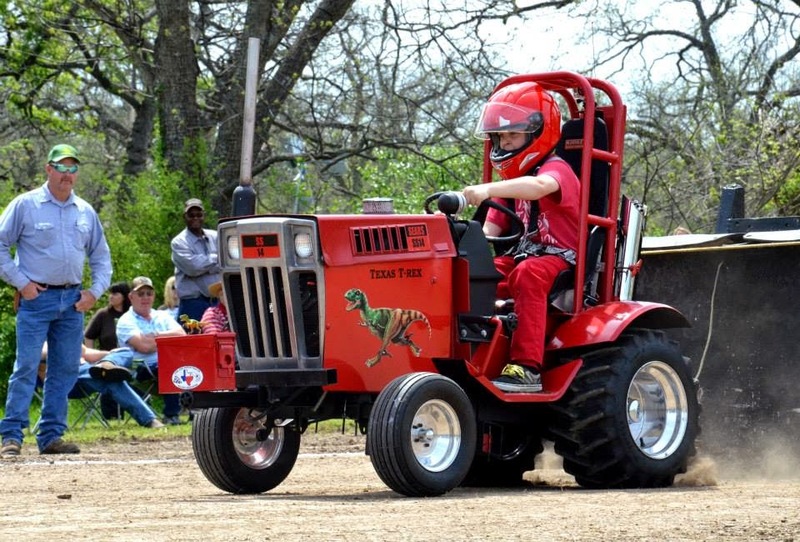 Lane Duncan's 'Texas T-Rex' was the first tractor to pull at the Delta County Fair Pulling Track in Cooper, Texas. 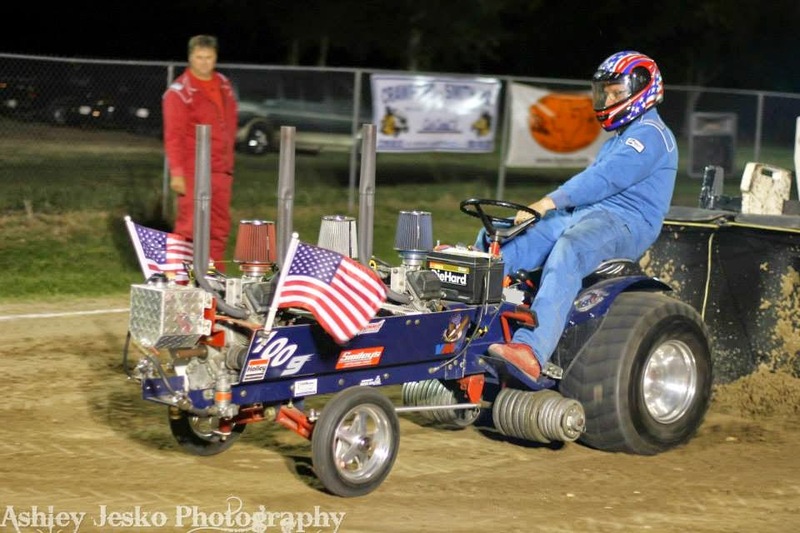 In Stock, Aidan Hovind placed the 'Outlaw Pulling Team' entry atop the field, with Steve McCarley scoring the runnerup. Aidan Hovind placed his 'Yes Deere' machine in the third place, with Claude Lewis pulling to a fourth place finish. The Stock Diesel class featured two Full Pulls, resulting in a Ken Langham Jr. win, with Steve Hovind placing the 'Mean Green Pulling Team' entry in the runnerup spot. 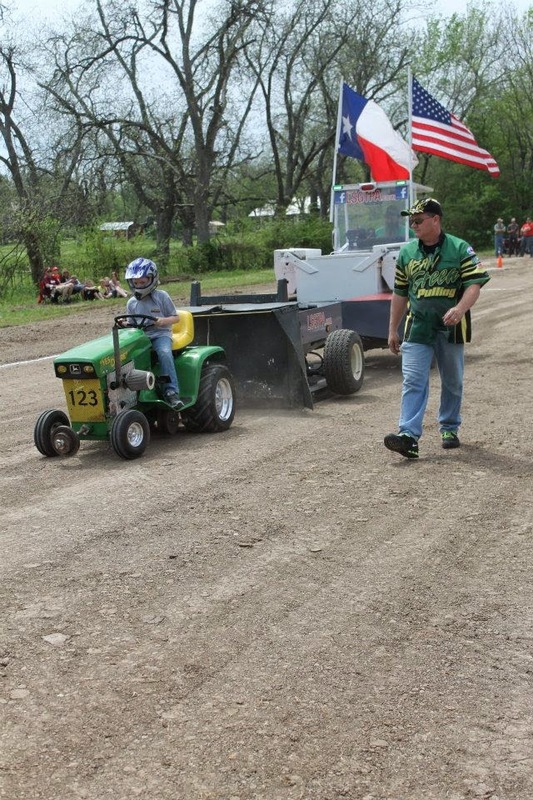 Mason Hovine pilots his 'Yes Deere' entry at the Delta County Fair Tractor Pull in Cooper, Texas. Jared Stephan wheels the 'Outlaw Pulling Team' tractor to a win at the Delta County Fair Tractor Pull. John Aufdenkamp pulls out the win at the Delta County Fair Tractor Pull. Big Stock featured another 'Outlaw Pulling Team' entry pacing the field, as John Aufdenkamp drove to the victory. Alex Jesko used a Full Pull on the 200' track, to score the runnerup spot aboard the 'Overtime' tractor, just three feet behind the leader. Patrick Bramlett placed his 'A-Muck' tractor in the top three, with Ken Langham Sr. placing fourth aboard the 'Texas Thunder' machine. Jerry Toland scored a top five finish aboard his 'Triple Deuce' tractor. 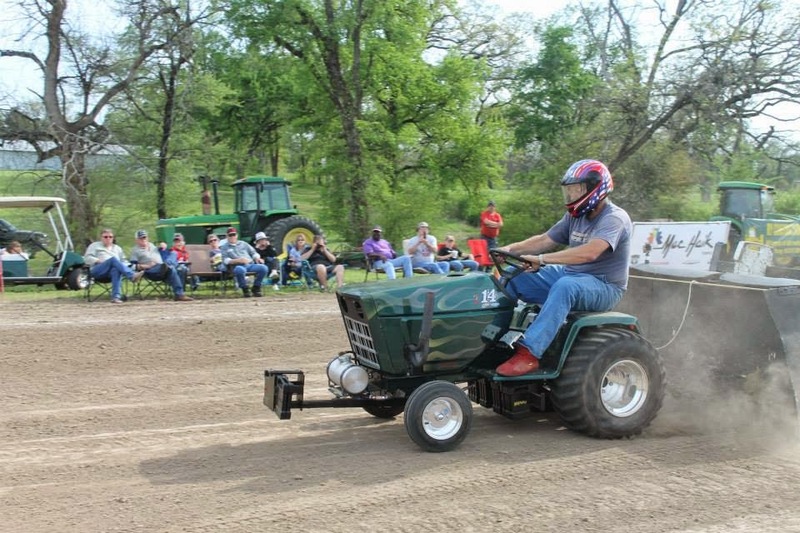 Alton Degner placed his ' It'll Do ' tractor in sixth place with Danny Hogan of Wolf City rounding out the field aboard his 'GranDannys Tractor' machine. 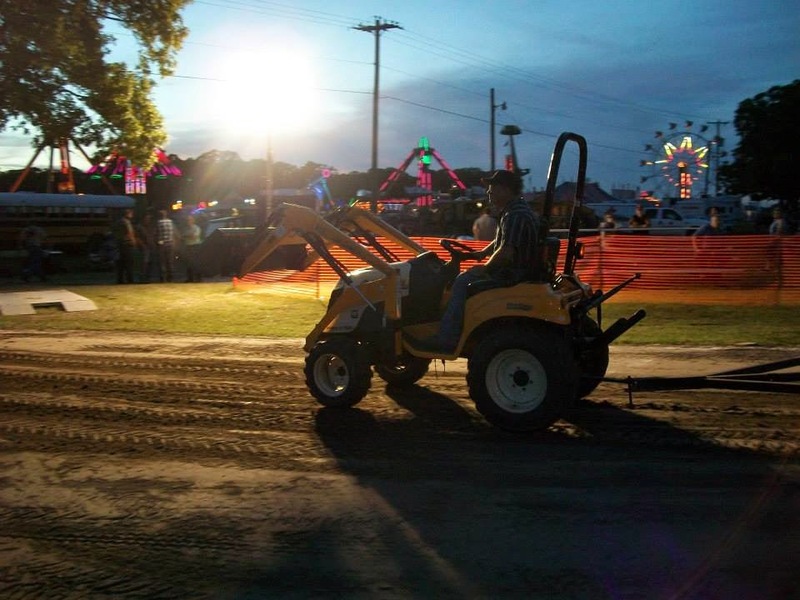 Patrick Bramlett runs his 'A-Muck' tractor down the Delta County Fair Pulling Track at Cooper City Park. Alton Degner and 'It'll Do' getting it done at the Cooper City Park during the LSGTPA tractor pull. Ken Langham Jr, pulls to a victory in the Stock Diesel Class at the Delta County Fair Tractor Pull. 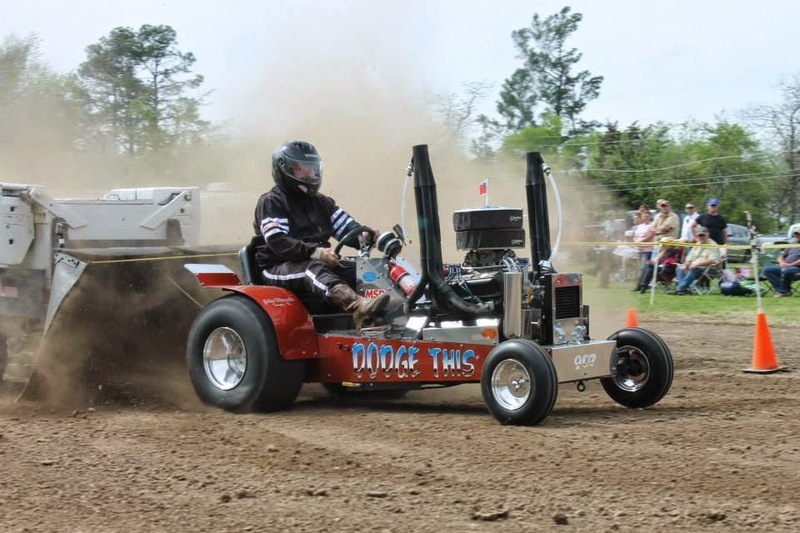 Steve Hovind holds onto the 'Mean Green Pulling' diesel tractor during the LSGTPA season opener in Cooper. Stock Altered tractors were led by the entry of John Aufdenkamp, with Alex Jesko placing second aboard his 'Outlaw' tractor. Ken Langham Sr. scored the third place podium finish. The Motorcycle Class saw Steve Pierce aboard 'Buzzards Roost' pulling to the victory, with the beautiful 'Allis Chalmers' entry of Paul Smith pulling to second place. Todd Hickerson pulled to a third place finish. The Outlaw Class scoring resulted in John Aufdenkamp taking the win aboard his 'Three of a Kind' triple engine tractor, over Paul Smith and Todd Hickerson. 'Blackfoot Squaw' takes driver Donny Mayo on a ride at the Delta County Fair Tractor Pull. 'Shinin Time', with Jerry Toland hanging on, pulls to the victory at the Delta County Fair Tractor Pull. The Mini Rod Class featured the 'Shinin Time' entry of Jerry Toland taking the win, with Colby Crowe and the 'Weekend Warrior' tractor pulling to the second place position. David Houchen, aboard his 'Back In The Day' entry, placed third, over Sarah Moody and her '99% Moody' turbocharged diesel tractor. 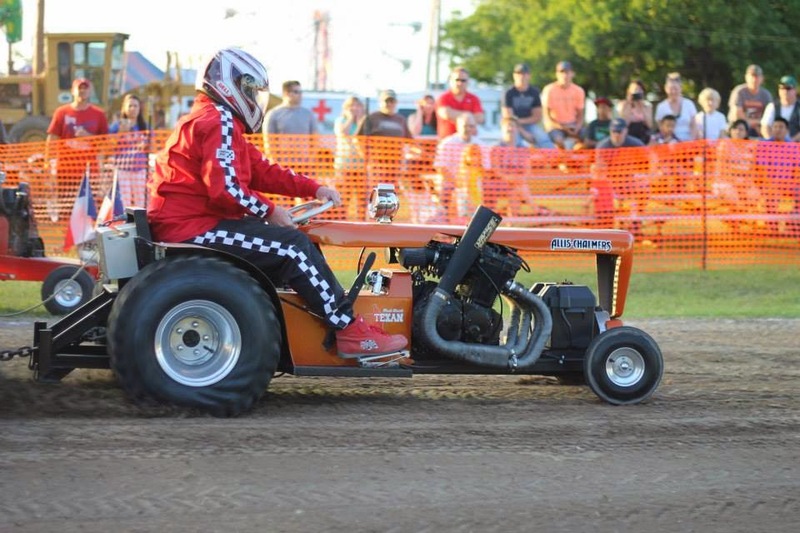 The wild and entertaining Super Rod tractors closed the show, with Ken Langham taking the victory aboard the new Bonham Servce Center tractor. John Kiemele placed the 'Dodge This' machine in second place, just nine inches behind the leader ! Donny Mayo pulled to a third place finish, aboard his 'Blackfoot Squaw' machine. 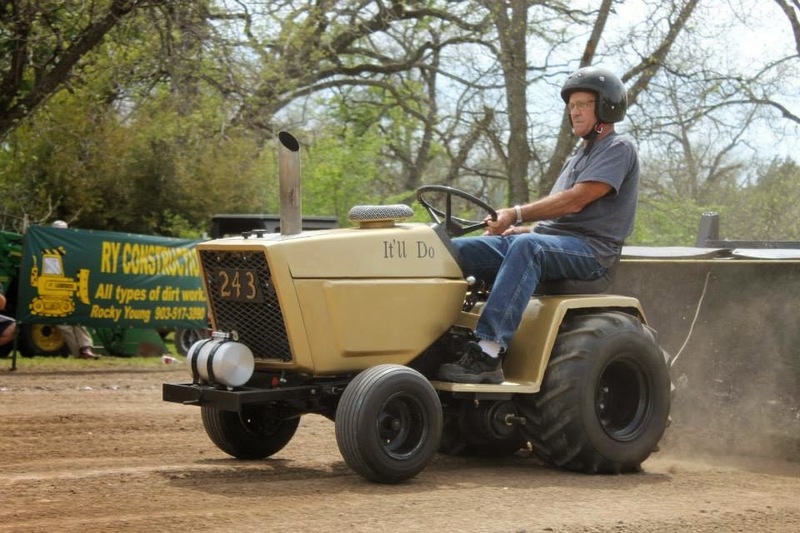 Randall Moody piloted the 'Ridge Runner' tractor to a fourth place finish, in a tight field of Super Rods. John Kiemele pilots the 'Dodge This' machine at Cooper, Texas during the LSGTPA Delta County Fair Tractor Pull. The Delta County Fair Tractor Pull of 2014 proved to be an awesome opening day for the LSGTPA, and a great show for the pulling fans in attendance. 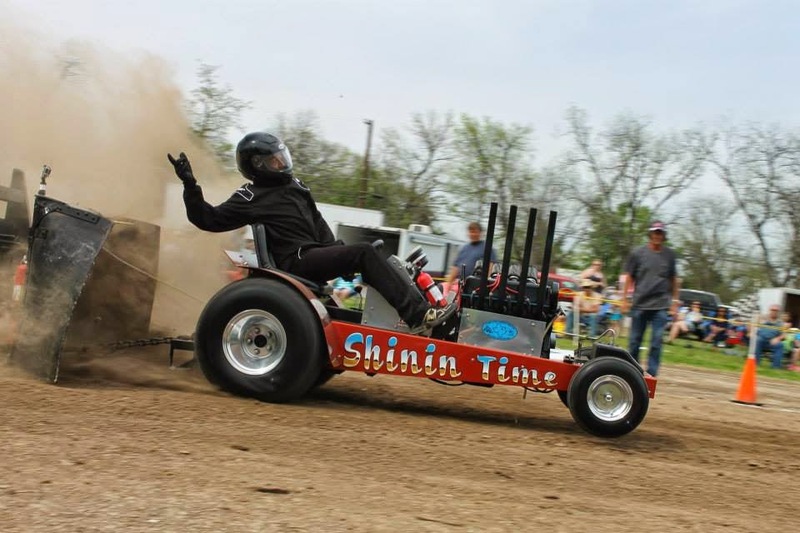 The LSGTPA teams will be preparing for the next events, which will include a double header at the Hunt County Fair on April 25th and 26th in Greenville, and then on to the Bonham Heritage Days Pull on May 3rd at Powder Creek Park in Bonham. We would like to thank all of the volunteers who worked to organize and help prepare for the Delta County Fair Tractor Pull ! Rocky Young Construction worked to prepare and maintain the track, taking a very rough looking field and transforming it into a very nice pulling surface. Chamber of Commerce representative Gracie Young worked to help promote and organize the event. Whitley Speight assisted with coordinating. Richard Duncan and the Enloe Museum presented the Youth Class awards, and Micalyn Rowe delivered a great National Anthem to start the show. Thank you to these, and to all of the folks helping to bring about his Inaugural event ! 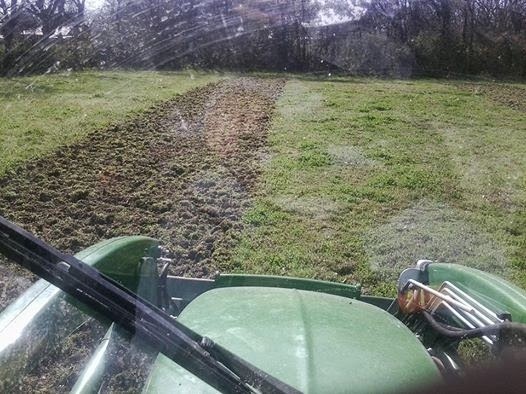 LSGTPA tractor pulling teams are preparing for the 2014 season debut on April 12, at the Delta County Fair Tractor Pull. Opening ceremonies will commence at 2pm on Saturday, with the National Anthem presentation by Cooper High School drum major Micalyn Rowe. The new Cooper City Park Pulling Track is located next to the Cooper Rodeo Arena, and has been constructed by Rocky Young Construction. The Inaugural event will run in conjunction with the Delta County Fair and Livestock Show. For more information on the events and activities, contact the Delta County Chamber of Commerce. 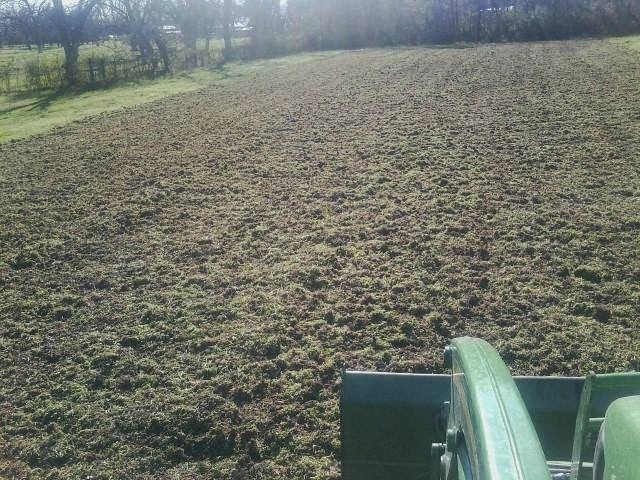 Surveying the location of Cooper City Park Pulling Track for Delta County Fair Tractor Pull event. Preparations underway for Cooper City Park Pulling Track construction. Cooper City Park Pulling Track construction underway by Rocky Young Construction. 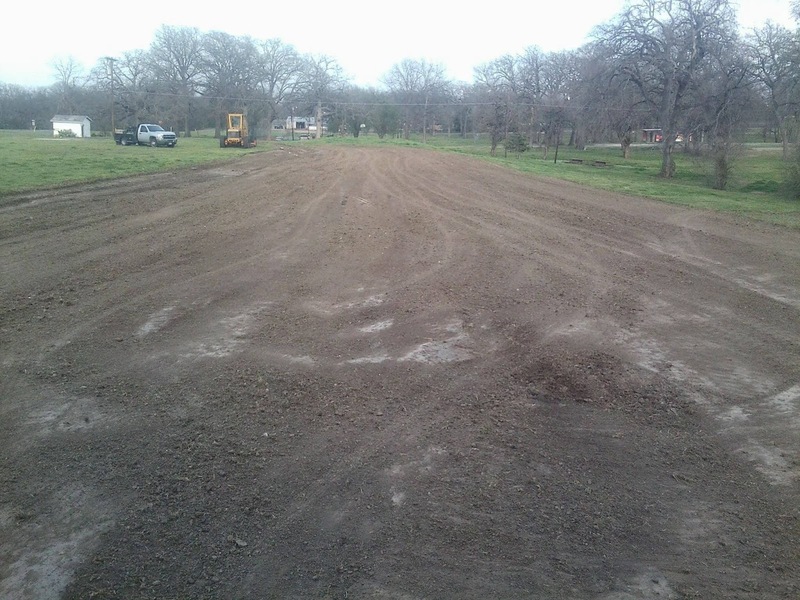 Cooper City Park Pulling Track to host LSGTPA 2014 Season Opening tractor pull on April 12.